Why This Mom is Begging You Not to Slide With Your Kids! Taking your children to the playground can provide some of the sweetest childhood memories, but one mom learned the hard way that is can be very dangerous. 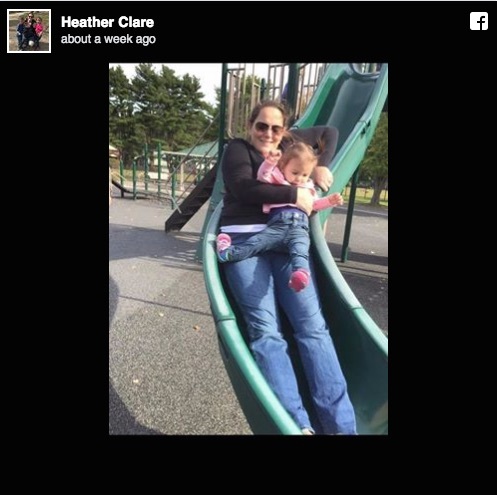 Back in 2015, Heather Clare was sliding with her one year old daughter on her lap when the child's foot got caught on the slide, resulting in a fracture. In fact, the moment her foot broke was even caught on camera (see image at right!) Now, each year, Clare takes to Facebook to share the scary pic, hoping her mistake will keep other people from making the same decision. Clare is not alone in her urging for playground caution. According to a 2017 study, by the American Academy of Pediatrics, children are far more likely to sustain an injury when sliding on a parents lap than when sliding alone. Why? Kids who ride solo are unlikely to break a foot if one catches the edge or bottom of the equipment and is twisted backwards. A child on a parent’s lap, slides faster because of additional weight, making it more likely that they’ll sustain a serious sprain or fracture if a foot gets caught on the slide. Now that you know the dangers of tandem sliding, I hope you’ll be more aware of hidden dangers on the playground. If you have any other concerns about your child’s foot health, feel free to be in touch!